Use the ships in your fleet wisely, strategically assigning them to actions: load, settle, deliver, or discover. Every journey needs supplies before setting sail. Load your ship with wood, cloth, iron, or gold. Plan ahead to collect the goods you need, then deliver them to score points. Once you select your commodity and put it in your storage area, you can draw a number of 1x cards equal to the crate value. 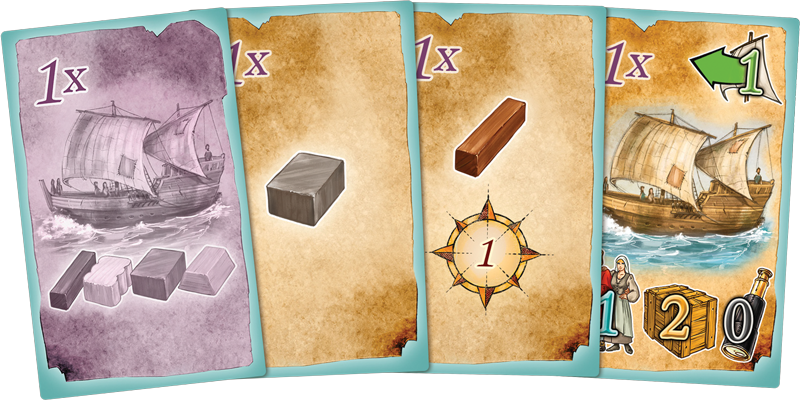 The deck of 1x cards can give you additional commodities, victory points, or charter ships. Charter ships can be used as a one time addition to your regular fleet when placing ships in the planning phase. They act just like a regular ship but are discarded after the round. Your countrymen are eagerly awaiting your return with the riches from the new land. Collect commodities and fulfill the orders for European cities. 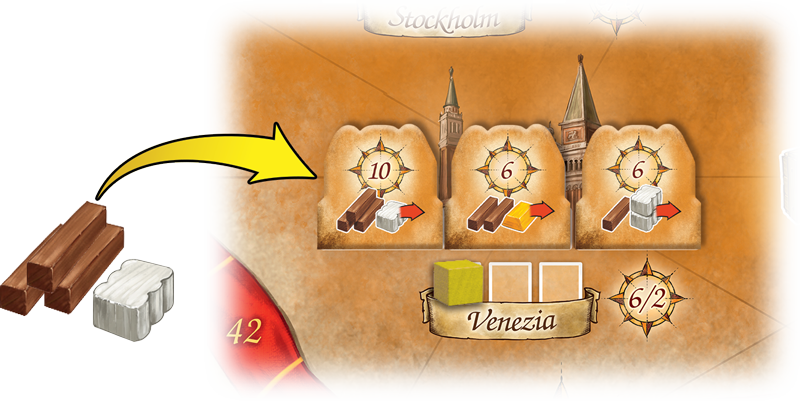 Stockholm, Hamburg, and Venezia greatly desire many of the riches and will have multiple orders waiting to be fulfilled. 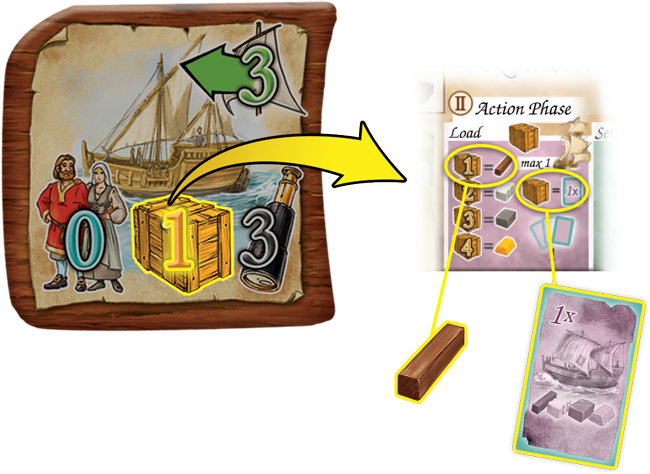 When players perform the deliver action, each ship can deliver commodities equal to the crate value. Multiple ships can work together to fulfill a single order, but each ship cannot split its crate value among orders. Once a player has collected and delivered the correct amount of commodities, they can claim the order and the victory points. 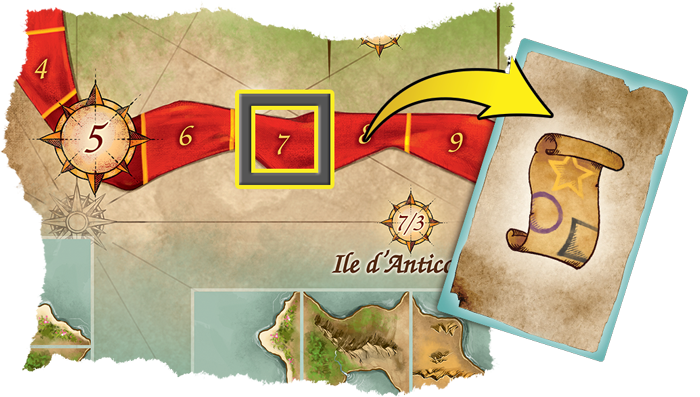 As players sail across the sea and continue their journey of discovery, they’ll reach milestones. Milestone markers on the point track will cause different effects. The square, circle, and star milestone markers all relate to goals for players to acquire and complete for additional victory points. The triangle milestone marker will give players a commodity. The pentagon marker will give players a captain to help with their fleet, which you can read about in our previous article. Once a player has reached or passed the square milestone marker on the point track, they can look at the corresponding stack of goal cards and select one to try and complete. As players continue along the point track and reach the other milestone markers, resolve each effect. After all players have completed the action phase, they can complete goals during the end phase. Each player can complete one goal for the round for free as long as they meet the conditions of the card. For example, if a player takes a goal card with a ship requirement, they can score 7 victory points for having at least three small ships or score 11 victory points for at least four ships. 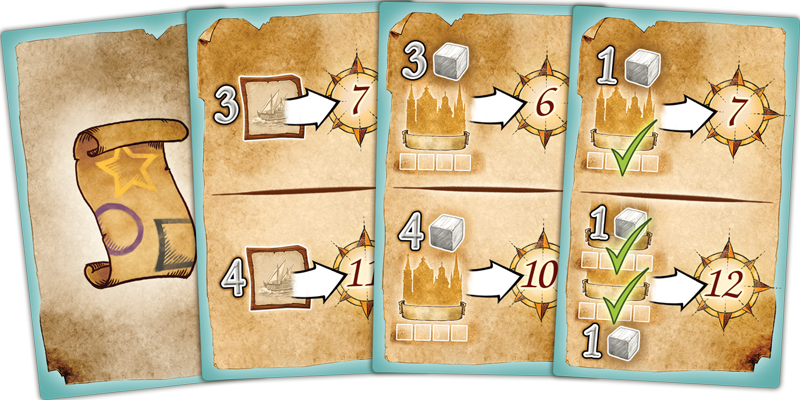 Other goal cards will be related to fulfilling orders, discovering and settling land, or having commodities. If a player wants to score an additional goal card that round, they must pay two commodities to complete it. Use your fleet wisely to swiftly navigate the swirling seas. 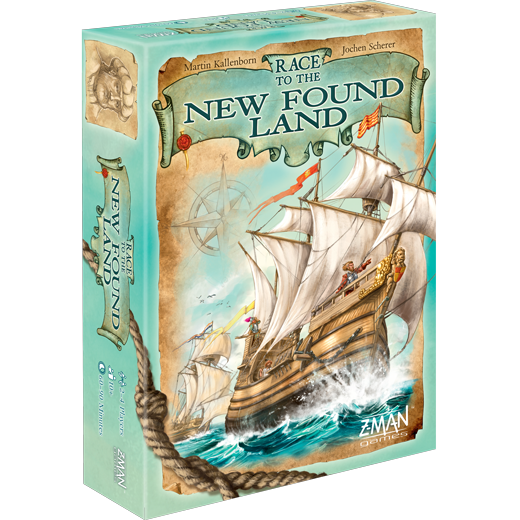 Secure honor and riches for your country by winning the Race to the New Found Land!